Here in Barcelona we really are very lucky. Nestled in the north-western corner of Spain’s Mediterranean coastline we are blessed with excellent weather – hot summers and mild winters. Whether you plan on lazing on the beach, hiking up Montjuïc or the Serra De Corserola, going wine tasting in the Penedès wine region or discovering the many architectural gems in downtown Barcelona, you could not ask for a better climate. But, be warned: when it rains here it really rains! So here are some suggestions for places to visit within the city when enjoying the great outdoors is not an option. Not only is this a beautiful building, with exceptional views of the city below, but also the collections of Catalan art are incredibly diverse – with something for everyone! The museum is famed for its unique collection of medieval Catalan church frescoes. The MUHBA museum is in fact spread over a number of locations throughout the city, each tending to focus on a specific element of Barcelona’s archaeological history. For fans of Roman history we recommend you head to MUHBA Plaça del Rei in the Gothic Quarter, where you can traverse the subterranean network of Roman ruins, that run below the (comparatively modern) Gothic streets above. It provides a fascinating snapshot of what life would have been like in Barcino, the Roman name for Barcelona. Check the MUHBA website for details of other locations. 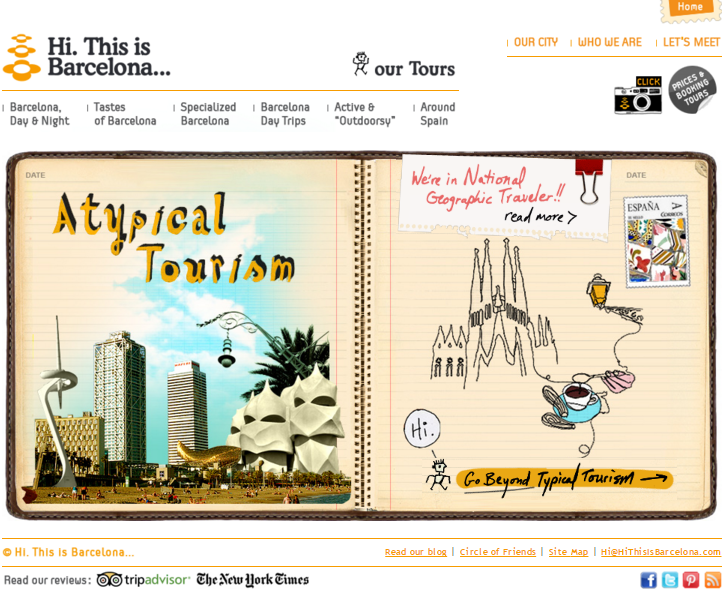 The city’s photographic archive is a treasure trove of pictures of Barcelona since photographic records began. It is home to over 2 million images (not all of them on display), and has a number of collections depicting how the city has changed over the decades. Any visitor to Barcelona will find it very difficult not to encounter examples of modernisme, the Catalan version of art nouveau, especially as no trip to the city is complete without visiting Antoni Gaudi’s unfinished Sagrada Familia basilica, or Lluís Domenech I Montaner’s Palau de la Música Catalana. But did you know that modernisme also encompassed the disciplines of paintings, sculpting, mosaics, glass work, iron works and furniture making? The Museu del Modernisme Català is the perfect destination for those wishing to get in among the detail of this movement, so you can really focus in on the intricacies of the designs and the superior levels of craftsmanship involved in producing such exquisite creations. 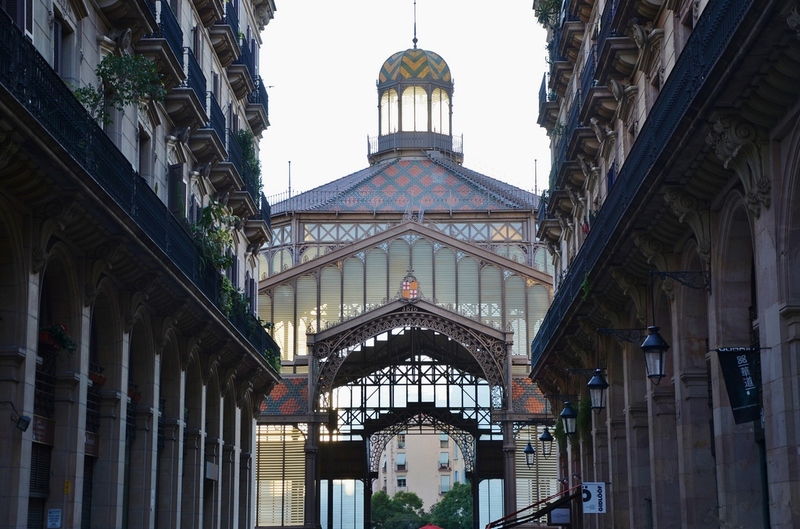 This impressive marketing building was designed by Antoni Rovira i Trias, who also responsible the markets in neighborhoods such as Sant Antoni, but has not functioned as a market since 1971, at which point it served as the city’s wholesale market. After a long period of debate as to what this space should be used for and a series of aborted projects, the market finally opened its doors to the public again on September 11th, 2013 – not as a market, but as a visitors center. Both the date of its re-opening and its new purpose are incredibly significant in Catalan history. September 11th marks the day in 1714 when, during the Seige of Barcelona, Catalonia was defeated by the forces of the Spanish king Philip V during the War of Succession. In the aftermath the new monarch set up a fortified military position, with a view to quashing any local troublemakers, resulting in the demolition of part of the area known today as El Born, in order to make way for the military citadel in what is now known as Parc de la Ciutadella. During the excavating of the old El Born Market several, long-forgotten streets were unearthed, which visitors are now able to view, as well as discover more about the events surrounding the Siege of Barcelona. This entry was posted in Art and Design, Barcelona and around, Gaudi Architecture, Moderniste Architecture and tagged Architecture, Arxiu Fotogràfic de Barcelona, Barcelona, Catalan art, Historical Sites, Mercat del Born, MNAC, Modernisme, MUHBA, Roman Ruins. Bookmark the permalink.